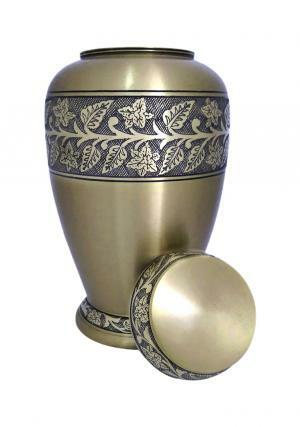 Soulful Peace Floral Memorial Adult Urn is a brass made solid metal urn designed from skilled artisans with expertise in handmade metal urns. 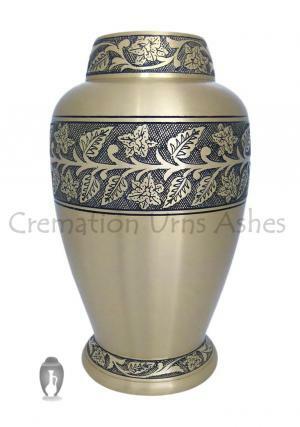 The brass cremation adult ashes urn is encrypted in band of leaves circled around the urn and rest is enameled with gold finish. 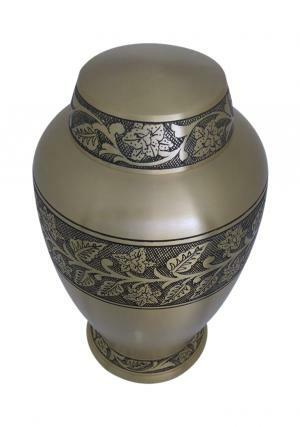 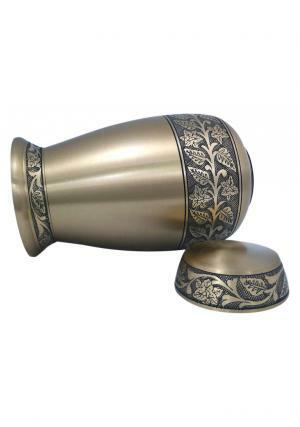 The lid of the cremation ashes urn is a flat based cover with decorated leaves surrounded the edges of the urn lid and has screw threading for an easy closure as well as insertion of loved one funeral ashes. 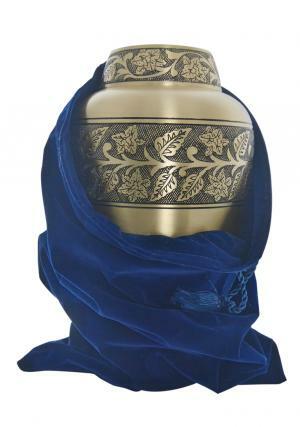 The Soulful Peace Floral Adult urn measures 200 cubic inch of carriable ashes space which stretched 9.9 inch tall, 6.4 inch width and empty urn weighs 2.38 kg approximately.